Kathy started playing golf at 9 years old on a 9 hole golf course in Baker City, Oregon. During her high school summer, Billy Casper Golf Camp in San Diego, CA is where her passion for teaching ignited. Kathy has received the “Billy Casper Award” 3 consecutive years and earned a golf scholarship from Oregon State University. After college, she became a PGA & LPGA Club Golf Professional under legendary Mr. Joe Durgan and has been a PGA Class A Golf Professional since 1990. Spending 10 years alternating seasons from different golf facilities from Coeur d’Alene, ID to Mesa and Tucson, AZ, her learning experience included teaching and club fitting, which became her passion to help other golfers achieve GOLF RESULTS NOW. The knowledge she has gleaned from sports psychologists Chuck Hogan and Henry-Griffitts staff has impacted her teaching forever. She has had many high-profile clients, including Hall of Fame MLB players Dennis Eckersley and Jim Kaat. Kathy has received the 2014 PGA National Teacher of the Year Award, being the first woman in PGA History, first from the PNWPGA Section (1 out of 28,000 PGA members nationally)! Get your game on; improve your skills and learn from the best. 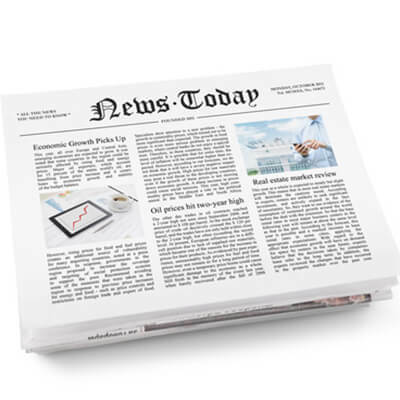 Get the latest news about Kathy G-Jensen. 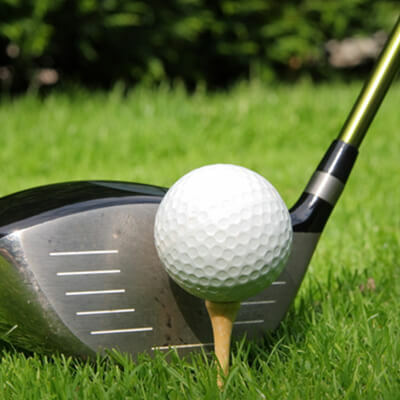 You can have a “live” virtual golf lesson with Kathy anywhere, anytime! 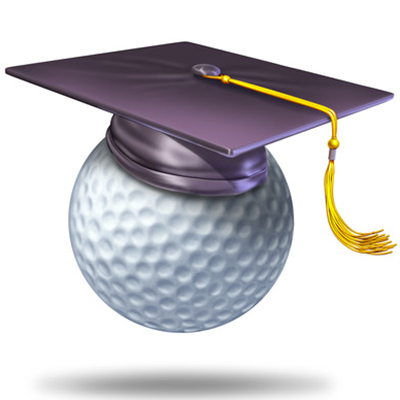 Kathy has the remarkable ability to quickly assess a client’s learning style and tailor the golf lessons accordingly. She WON’T let you leave the session until she feels you understand what you need to do to improve your golf performance. The videos she provides following your golf lesson reinforces the major points made in the lesson and is available to view over and over, if need be. I just wanted to let you know how grateful I am for the golf lesson this past summer. I had started hitting the ball straight for a change and also with a little more power. I was really impressed with your patience and professionalism. The video you took of my swing surely showed how badly I was bailing out before I would connect with the ball. When I start to find myself slipping into old habits I go right to the video and study so I can work it out. You did a great job and thank you again. Mrs. Jensen improved my golf game to the best its ever been. Each time I have improved immensely. I feel more confident as a player, and am very glad I’ve gotten the chance to work with her. I’ve taken several sets of both individual and group golf lessons in the past, but none were as effective as those I’ve had with Kathy so far! I see two fundamentally different approaches in Kathy’s teachings that made all the difference for me. The first was her ability to immediately recognize that my grip was forced. I had always been taught that this was the correct grip. Kathy encouraged me to split my grip, making it much more comfortable and relaxed. The second was the side-by-side comparison video-tapes of my swing next to that of a PGA player. I am a visual learner and the videos allowed me to revisit our lessons again and again, as needed. Kathy sends the videos via email with voice over instructions that outline exactly what is required for improvement. Thank you, Kathy! You are the BEST! In the Spring of 2011 I made an appointment for a one hour video session with Kathy Jensen at Indian Canyon in Spokane. My initial request was for her to help me sort out all of the random swing thoughts while addressing the ball. I’ve played the game for over 60 years, so I had an abundance of swing thoughts going through my mind. Her method of watching, taking the video, and explaining her recommendations were easily assimilated. Even though my handicap hasn’t changed substantially since the video session, my approach to the swing has changed—big reduction in swing thoughts. The mistake I made was trying to take Kathy’s recommendations to the golf course rather than the driving range. I recognize this error and am in the process of correcting it. Thanks, Kathy. I had lost my interest in golf. I wanted to feel confident again in order to play a social game of golf. Kathy’s instruction was simple, direct, encouraging and fun. I returned to golfing with confidence. Thank you Kathy! I am a high school golfer and an looking to take my game to the next level. I heard about Kathy from a friend of my father’s and decided to see what she would be able to do for my swing. My first lesson was great; it was especially helpful to see myself swing on video and to have Kathy point out the parts that need adjusting. With Kathy’s help I made a lot of changes to my golf swing that first day, and after experimenting with the tools she gave me I felt so much more confident stepping up to the ball. She has shown me how fixing the problems now will have the best outcome later on. Taking lessons from Kathy has been a great experience for me, the improvements in my golf game are apparent, and I definitely plan on continuing to seek her expertise. Kathy Jensen is a true professional! Kathy’s knowledge of the golf swing is unsurpassed. After 57 years of golfing(at a national level when I was young), I was unhappy with my ball striking. I met with Kathy, and in a very short time that day she discovered my major problem, which was in the impact area. The video she then provided, which included several video studies of professionals at the same impact area, enabled me to really see the problem and potential solution. I would recommend Kathy to any lower handicap golfer that wants a tune-up or major change in their golf swing. I’ve been taking golf lessons from Kathy for over a year. I have really enjoy her approach to the game and teaching abilities. She has been very generous with her time, accommodating of my work schedule and patient with my shortcomings. The changes in my game are noticeable to those I play with. But perhaps the best way I could describe what she has done for my game is that I’m getting more distance, my accuracy is improved and my handicap is dropping. I have taken golf lessons from Kathy since I started golfing two years ago. Her teaching style is tailored to our abilities and as you progress in your game. Her golf lessons bring you to a new level of challenge. I dropped my index over 30 points last year. My game would not be where it is without her help. From shanks to slices….Kathy has fixed it all! When the game goes south…Kathy is able to reel in the trouble and fix everything! 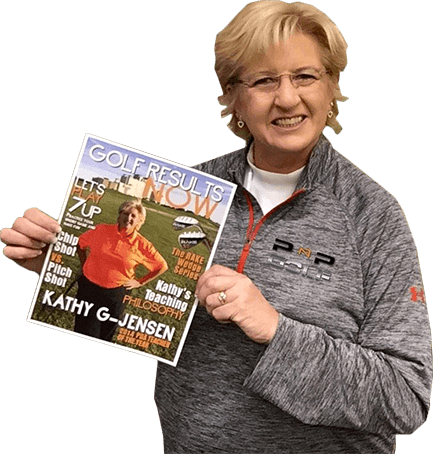 If you need help, like I did, there’s no reason to go any place else… Kathy WILL make your golf game better! I’ve known Kathy for years. If anyone is interested in a custom fit driver, new technology, or a whole set of golf clubs…Few in our region have more knowledge or experience, plus she exhibits a cheerful passion and positive attitude for our sport. 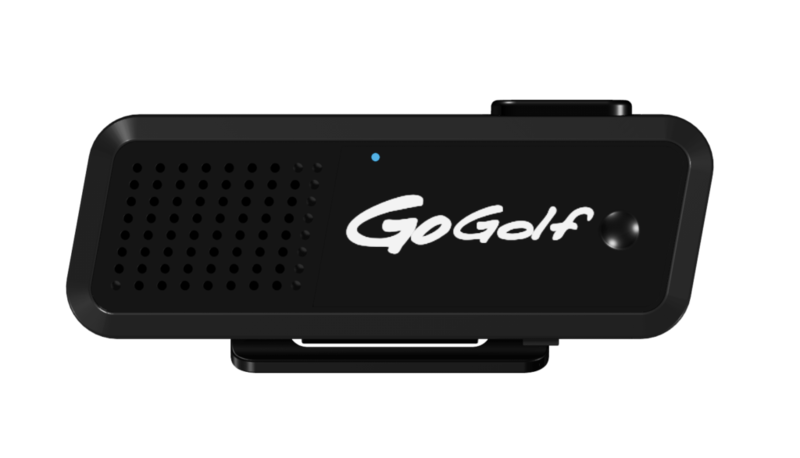 Get Golf Results Now with GoGolf GPS, the newest Golf Technology !